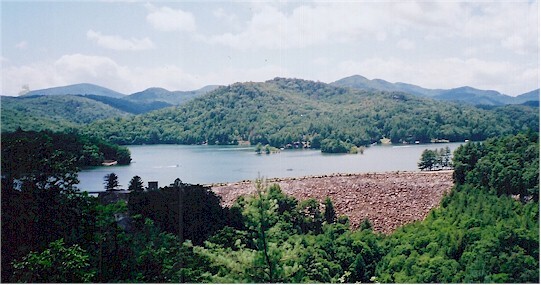 Lake Glenville is a reservoir located just 8 miles from Cashiers, North Carolina. It was formed by the damming of the west fork of the Tuckasegee River in 1941. 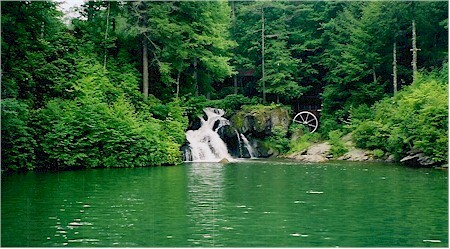 Between 1951 and 2002, it was officially known as "Thorpe Reservoir" after J. E. S. Thorpe, Nantahala Power's first president. It is still listed as such on many maps. The lake bottom plunges as steeply as the mountains that meet the shore. The depth a short distance from the water?s edge may register 80 feet (24 m) or more. 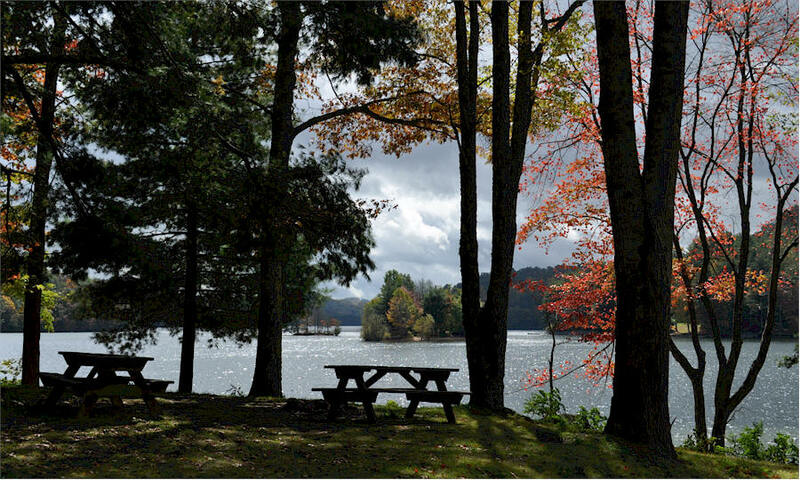 The lake also has 26 miles (42 km) of shoreline and the highest elevation of any lake east of the Mississippi. During World War II, ALCOA (Aluminum Company of America) needed more electricity to make aluminum for the war effort. 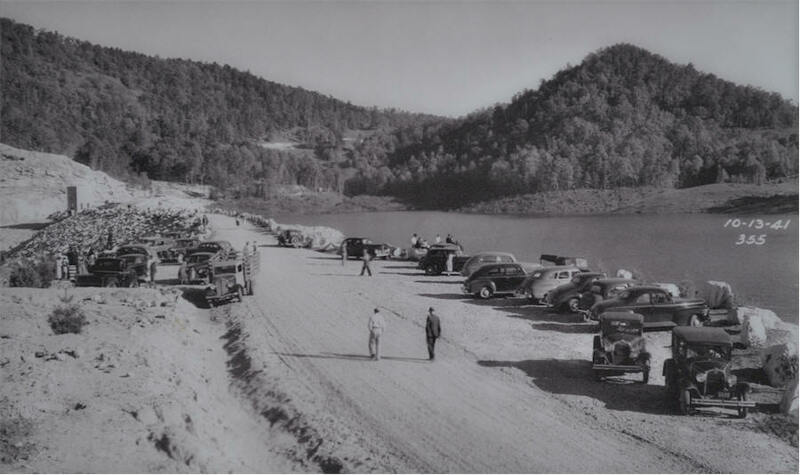 In June 1940, Nantahala Power and Light, then owned by ALCOA, began constructing a dam on the west fork of the Tuckasegee River at Onion Falls.They completed it in late 1941, filling a new lake called Thorpe Reservoir or Lake Glenville. It encompassed the entire valley north of Cashiers, flooding the town of Glenville including schools, homes, businesses, and farmlands to a depth of 300 feet. Note: Lake Glenville is a "Dry Area" for dining with spirits one must go up to Highlands. Link here for Realtors serving this area.